So, what level of Angry Birds are you on? Three Stars on all levels? That's great. I'm not the one thinking so (though that does impress me). Obama's NSA thinks so. Seems that Angry Birds is one of the methods the NSA is using to gather data on you. The New York Times reported this week that the NSA and other spy agencies are able to access and exploit the data that many smartphone apps, including Google Maps and Angry Birds, collect. The N.S.A. and Britain’s Government Communications Headquarters were working together on how to collect and store data from dozens of smartphone apps by 2007, according to the documents, provided by Edward J. Snowden, the former N.S.A. contractor. Since then, the agencies have traded recipes for grabbing location and planning data when a target uses Google Maps, and for vacuuming up address books, buddy lists, telephone logs and the geographic data embedded in photographs when someone sends a post to the mobile versions of Facebook, Flickr, LinkedIn, Twitter and other Internet services. Now, before you get all angry at Obama or the NSA, you need to take a breath. They say they don't really use the data or even look at it if you're not a terrorist. Apparently, they can tell before they look at it. And, of course, just because Obama lied about Benghazi, about Obamacare, about jobs, about the deficit, about, well, everything else, doesn't mean he's lying about this. And even if he is, you still shouldn't blame him. Blame the people that voted for him. None of what we know about Obama and his ilk is new. We've known it all along. So, yeah, blame the people that voted for him. 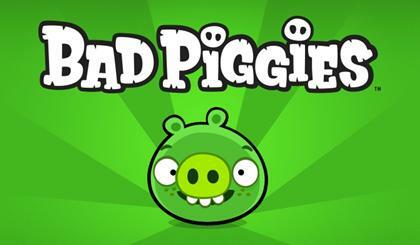 Those are the real Bad Piggies.